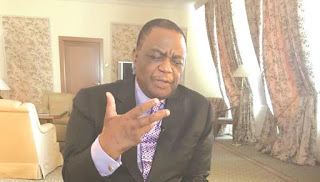 GOVERNMENT has vowed not to give in to international pressure to fire Vice-President Constantino Chiwenga or neutralise his grip on the country’s security ministries amid speculative reports that he ordered the fatal shooting of seven MDC Alliance protestors in Harare on August 1. Addressing journalists in Harare early this week, Foreign Affairs minister Sibusiso Moyo said President Emmerson Mnangagwa would not be forced to fire his deputy over an opinion expressed by the influential British parliamentarian, Kate Hoey. “In fact, what has happened is that instructions from outside basically like what Kate Hoey said do not drive this government and it will not necessarily represent the correct position of what Zimbabwe is. We are capable of correcting our own problems, developing our own solutions and then moving forward and finding each other,” he said. Moyo was responding to a tweet by the UK parliamentarian who blamed Chiwenga for the fatal shooting which occurred as opposition activists protested over delays in announcing presidential election results two weeks ago. “There should be no change to EU or UK or American government policies to Zimbabwe government until at the very minimum Chiwenga is removed from his Vice-Presidency and his control of the military,” Hoey tweeted. Moyo said the opinions expressed by Hoey were not reflective of what was happening in Zimbabwe. “We believe that the UK is a key strategic partner which requires that both of us should iron out issues and the President has invited Hoey, she has been here and she saw a lot of activities. Let me assure you that whatever perception she reflected in her talk does not necessarily represent what is happening in this country,” he said. Highly-placed diplomatic sources said they had received briefings from government insiders that Chiwenga was behind the deployment of soldiers that quashed a protest by opposition party supporters that had turned violent.